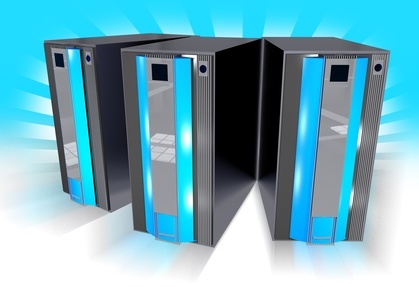 Virtual private servers are increasingly replacing shared web hosting solutions. With a VPS, some virtual operating systems or CPU instances run in parallel on a physical server that is located in a data center. The services of the customers (e.g. database, etc.) are therefore either completely separated or at least divided into separate instances of the programs. You can therefore see clearly that resources such as bandwidth, working memory or computing time can be distributed better and much more fairly on such a level than with classic shared Web hosting. The customer can rely on the fact that his configuration data and hard disk area act independently of each other. So you can adjust everything flexibly and individually. You can install a vserver at home for relatively cheap as well, but the big disadvantage is that in that case you have to care for everything by yourself like buying the hardware, installing the OS and necessary programs, pay for the electricity and maybe endure the noise of the server, backups and maintenance. VPS offer clear advantages over other hosting solutions that need to be used. All virtual servers are encapsulated, i.e. they act separately from each other. They each function as their own root server, which greatly increases security. Since each VPS receives a pre-defined share of the resources (CPU, RAM and hard disk space), a constant performance is guaranteed. Additionally, virtual private servers are cheaper than other hosting solutions, therefore they are suitable for a relatively wide range of use cases. Of course, there are also disadvantages. You have to make sure that your used services are up to date. Full root access also makes it easy to destroy the system in case you don’t have the necessary prior knowledge. One important point concerning cheap offers is often that they don’t hold their promises. The RAM and bandwidth they state is often not really what you get because other users of the shared server unfortunately use most of the available resources and there isn’t enough power left for your applications. VPS can also be more expensive than normal shared web hosting solutions. For Whom Are Virtual Private Servers Suitable? Virtual personal servers are suitable for people who want to have more control over their system than is the case with shared web hosting. Even users who are actually more interested in dedicated servers, but are afraid of the required technical knowledge, can take their first steps with a VPS and expand their knowledge bit by bit. There are a lot of hosting providers offering virtual private servers starting at cheap prices like just a few bucks per month (like 2 to 5 Dollars). On the one hand this big amount of providers offers the advantage that you can choose from a variety of companies, on the other hand it also has the disadvantage that you first have to get an overview of all offers. In our research for the best cheap offers among the best performing services we checked their pricing packages including features like storage, RAM, bandwidth, operating systems and management.